Public safety » Jensen will have to bow out of some Unified Fire Authority votes as he replaces retiring Berry. 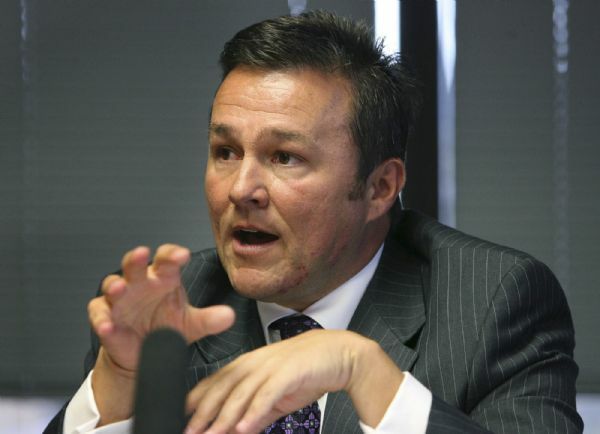 Salt Lake County Councilman Michael Jensen makes a point during a debate in September. 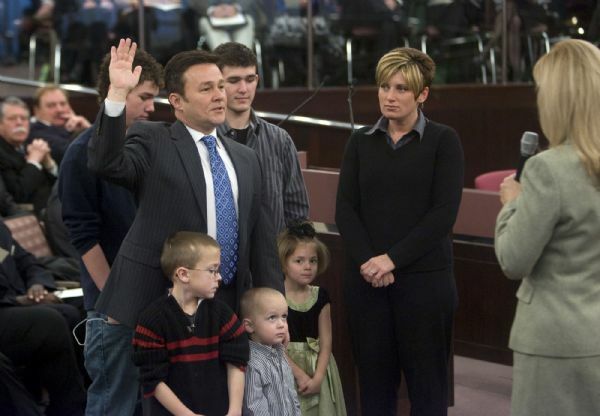 Salt Lake County Councilman Michael H, Jensen is sworn in, surrounded by his family, in the County Council chambers on Monday. This is an archived article that was published on sltrib.com in 2009, and information in the article may be outdated. It is provided only for personal research purposes and may not be reprinted. Longtime Salt Lake County Councilman and firefighter Michael Jensen is taking over Utah's largest fire department -- a promotion that could signal his final term on the council. The Unified Fire Authority Board has named Jensen as its new chief, a high-profile post that takes effect in October, when the department's current leader, Don Berry, retires. While the move will place Jensen at the helm of a firefighting agency that boasts about 600 employees, manages a $50 million-plus annual budget and protects more than 375,000 people in the Salt Lake Valley, it will not bring his immediate exit from the council. The 43-year-old Republican councilman, who won re-election last November, confirmed Tuesday that he plans to serve the rest of his term until January 2013. But federal law may preclude him from running again. The hang-up is the Hatch Act, a law that precludes candidates from seeking partisan public office if they administer federal funds. Ogden Police Chief Jon Greiner ran afoul of that law when he ran for the Utah Senate and won. Although investigators threatened to penalize Ogden's Police Department -- by possibly yanking federal funds equivalent to two years' worth of Greiner's pay -- the U.S. Office of Special Counsel ultimately took no action. Even Jensen faced scrutiny last year when he campaigned for a third term while doubling as deputy fire chief. He insisted that UFA had removed him from the federal-funding loop and thus could face no penalty under the Hatch Act. But now as chief? "I don't see a way -- unless the law changes -- that I'll be able to run again," he said. But "I'll cross that bridge at the time that it happens." Jensen soon will steer an expansive fire department that watches over Salt Lake County's unincorporated areas and a number of cities, including Alta, Cottonwood Heights, Draper, Herriman, Holladay, Riverton and Taylorsville. It's a "surreal" journey, Jensen said, when reflecting on the 13-year career path that led the father of five from a front-line firefighter within the agency to its top executive. Politically, Jensen will face obvious conflicts of interest on the council, which pays into the UFA for fire services. As deputy chief, he abstained from UFA-related decisions. Jensen pledged to continue that practice. "He's been good about that over the years," said Democratic Councilman Joe Hatch, who noted Jensen should disclose his conflicts of interest but shouldn't be precluded from serving. "The question for his constituents is: Do they want a county councilman who can weigh in on those kinds of [fire-related] issues, or don't they? That is something for the election process to decide."